1. Unique: fixed point, quantitative, fixed direction to maintain the natural physiological balance and biological balance of the spine, with no medication, no injection, no surgery, no pain, short course of treatment, low recurrence rate. 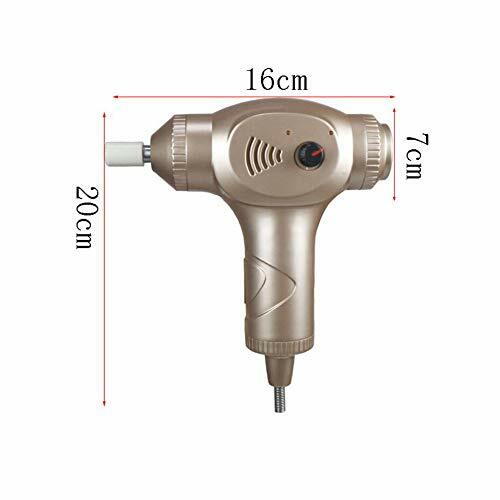 2, the precise position of the injection correction, no need to apply gravity, regardless of men, women and children can be used, safe and efficient, accurate diagnosis, rapid correction, improve healthy spine. 1. Correction of subluxation or displacement of the joints of the spine, thoracic vertebrae, lumbar vertebrae, atlas, vertebrae and pelvis. 2. Relieve muscle pain, soreness, numbness, stiffness caused by vertebral, thoracic, lumbar, atlas, caudal, pelvic subluxation or movement. 3. Improve pain and discomfort caused by bone hyperplasia, rheumatism, bone spurs, and lumbar muscle strain. ✔️ The principle of physical pulse, imitating the male hand massage, adjusting the bones, correct the spine, immediately dredging directly, relieving the stiff muscles around the spine. ✔️ Seven different massage heads can be changed at will to suit your needs. ✔️ New structure, powerful cooling function, can work continuously for 2 hours. ✔️ Rotary push button switch design, high and low frequency, can be adjusted at any time, can quickly add and subtract strength. ✔️ Compact body, easy to operate, high frequency and small body, to avoid the body is too heavy, is conducive to long-term use.